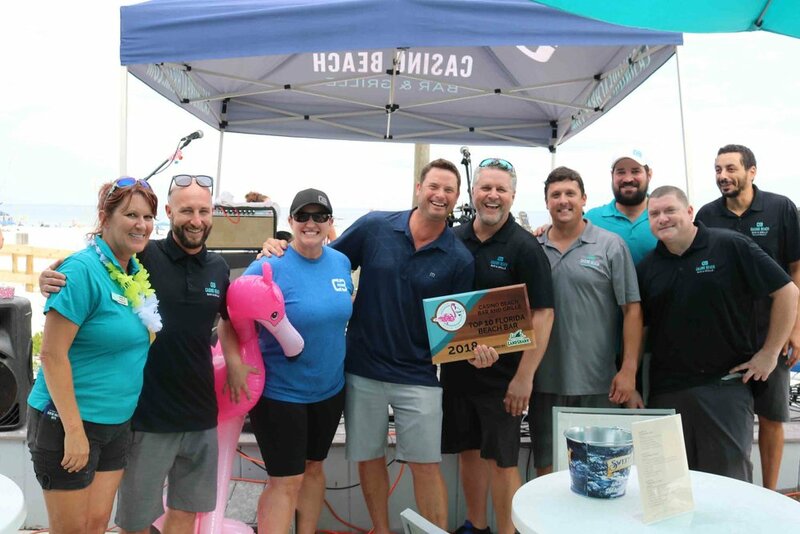 Casino Beach Bar celebrated their 2018 Top 10 Florida Beach Bar Award sponsored by LandShark Lager with music, giveaways, pink flamingos, and a lot of food and drinks! This was the second year in a row they placed in the top 10 and we couldn't be more excited for them! 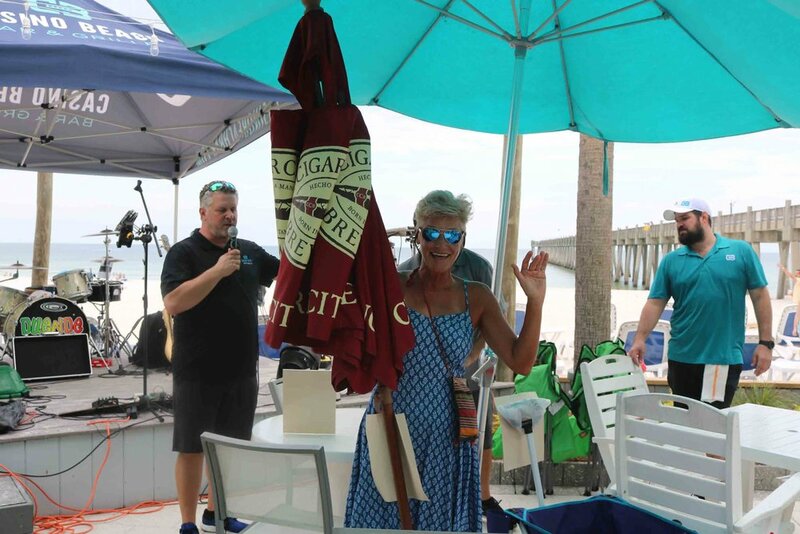 As part of the celebration, they had 19 raffle prizes and all of the money raised went to benefit the Arc Gateway Inc, which provides services and support to children and adults with developmental disabilities. LandShark Lager was there giving out lei's, fin hats, and beach balls. Cat Country 98.7 was even in attendance to help celebrate and share this great event! Duende took the stage to keep the party going. They have a unique sound of rock and reggae. It's the perfect music to listen to as you sit at Casino Beach Bar and enjoy views of the Gulf. If you haven't heard them before, please take some time to visit their facebook page and check them out! We've been to a lot of Florida beach bars and we always say that the people make the difference. That couldn't be more true for Casino Beach Bar. 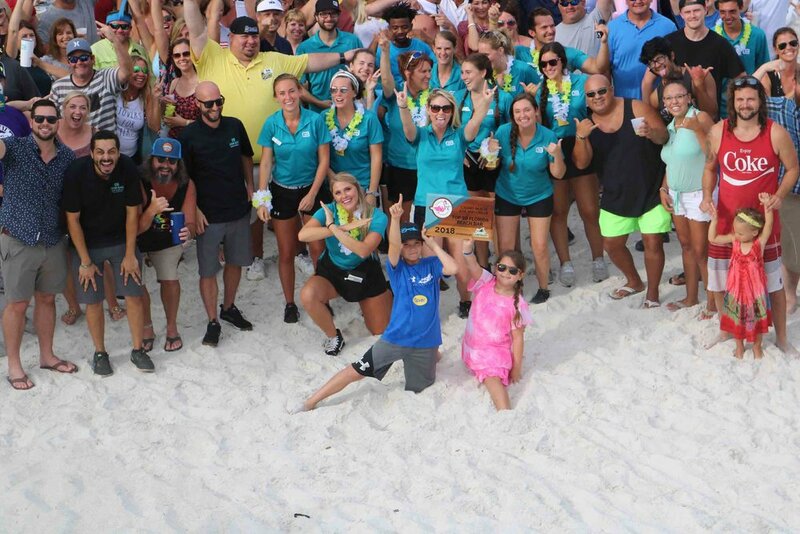 Great job to everyone here that makes this beach bar one of the best in Florida! Congratulations to everyone at Casino Beach Bar!